n 1873, Lutheran families received permission to meet for worship in a church built, but unused, by a group of area Presbyterians. 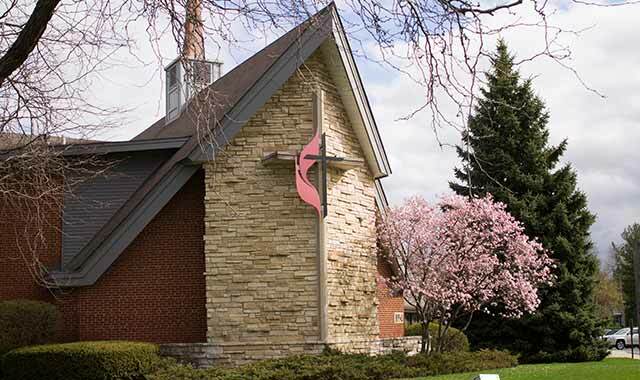 Services were conducted by Pastor H.F. Fruechtenicht of St. John’s Lutheran Church of Elgin, every third Sunday. In August 1884, St. Peter’s became an official congregation. In 1888, the church called its first resident pastor, purchased the church for $775 and established a parochial school. A year later, members built a parsonage and added a room to the back of the church. In 1899, they bought a bell and built a church steeple. Services were conducted solely in German until 1938, when members voted for English in all services, except for one Sunday a month. By 1942, German services were discontinued. Improvements over the years included digging a basement and a well, and installing a heating system and bathrooms. In 1953, the church received its first organ, and in 1955, stained glass windows, installed as memorials to loved ones by members of the congregation. By 1986, when women were given the right to vote in church matters, the congregation had outgrown its original church. After two years, a suitable site was found: 15 acres right across the road. Cost was estimated at $500,000, and the congregation undertook a capital campaign, finally reaching its goal in 1993. Ground for the new church was broken on April 10, 1994, and on April 23, 1995, the congregation held the first service in its new worship space. St. Peter’s Little Saints Preschool opened in 1996. In 2001, the original bell was moved from the old church to a bell tower at the current site. St. Peter’s, part of the Missouri Synod, is led by Rev. Gerhard Mau, senior pastor. Sunday service is held at 9 a.m., with Communion every second and fourth Sundays. The original church building still stands at the corner of Plank Road and Ill. Route 47.
he Crystal Lake Methodist Church was founded in 1839, as a preaching station on the Crystal Lake circuit of the Des Plaines Conference. The first building was constructed in 1858, on Virginia Street across from what is now McCormick Park, at a cost of $1,400. The congregation purchased the old Congregational Church building in 1867, and in 1873, a new church was built at the corner of Brink and Williams streets. A three-story parsonage was built across the street in 1899. The downtown church was extensively remodeled in 1898 and again in 1920. 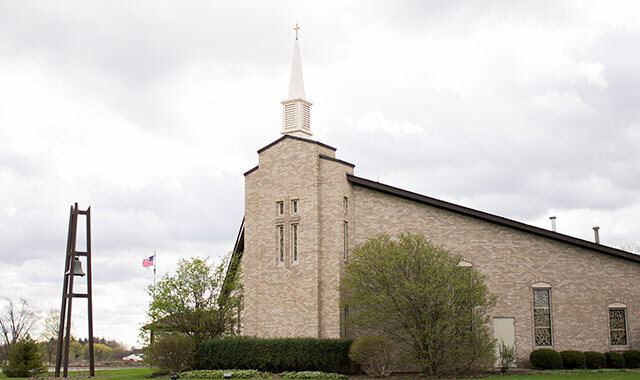 In the 1950s, six acres of land were purchased at Crystal Lake and Dole avenues, and in 1954, a new church was built. In the 1960s, growth of the congregation necessitated an addition that included more classrooms. In 1959, a parsonage was built at 303 W. Crystal Lake Ave. A second parsonage was purchased in 1969, at 28 Lincoln Pkwy., to house the church’s new associate pastor. In 1975, the name was changed to First United Methodist Church, because of a merger with the Evangelical United Brethren Church. In 1991, construction began on a 28,000-square-foot addition, doubling the size of the facility. It included a 525-seat sanctuary, community room, choir room and classroom space. The new sanctuary was used for worship for the first time on Mother’s Day 1994. In 2002, stained glass windows replaced the plain windows in the front of the sanctuary. Under the guidance of The Rev. Scott Field, lead pastor, the church holds a casual worship at 5 p.m. Saturday, traditional worship at 8 and 9:30 a.m. on Sunday, and a contemporary worship at 11 a.m. on Sunday. This entry was posted on Monday, May 11th, 2015 at 11:59 am	and is filed under Mind & Spirit. You can follow any responses to this entry through the RSS 2.0 feed. Both comments and pings are currently closed.